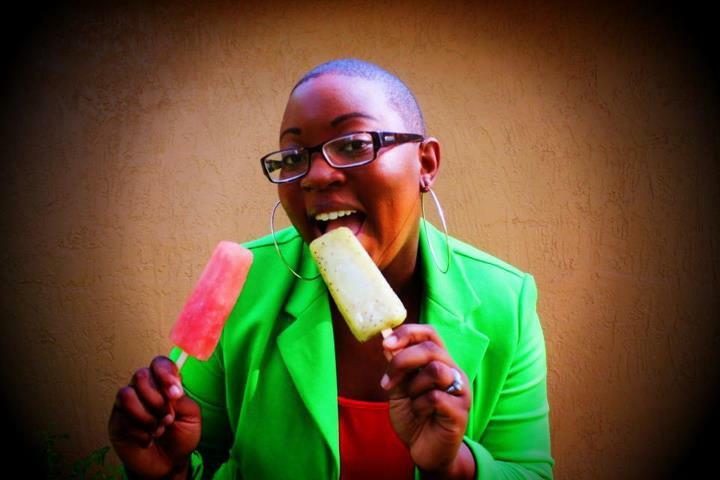 How to Start a Gourmet Popsicle Business…. The most popular question I get from people I meet is: ‘How did you start Feverish?’ My answer is simple, I fell into the business. Actually, it was more like a trip, stumble, and epic fall. Two years before starting Feverish I was leaving a party and – like clockwork, as soon as I walked out of the gate, an ice cream truck drove by. I heard the music, and I turned into a five-year-old kid again and started chasing after it. I completely forgot that I was wearing heels. I am sure you can guess what happened next. Yep, I fell flat on my face, chasing after an ice cream truck in heels! I looked left and right to make sure no one was laughing at me, and I saw the ice cream truck driver. Thankfully, he stopped, but he was laughing at me. 1. I’m way too old to be chasing after an ice cream truck. 2. Why hasn’t anyone come up with a cooler way for adults to enjoy ice cream? That was my, “Ah-hah!”, Oprah moment. I toyed with the second question for about two years. I had a sketchbook with all these different ideas and drawings and cut out pictures and inspiration from the internet, like the old- school Pinterest. But I really loved what I was doing in experiential marketing at the time, so I let it go. While I was working for Nintendo, my husband and I both worked on the team that launched the Wii Fit campaign. Unfortunately, the economy started going downhill in 2008, our contracts ended, and we both ended up unemployed. 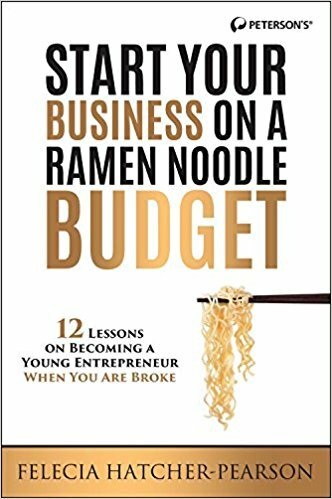 So I thought… “Now is the time to start this thing.” When I say we started on a super-low budget, it’s an understatement. I started by purchasing two ice cream carts from Craigslist. I had no money for a fancy graphic wrap so I spray painted and decorated them completely by myself. For a while, I was just trying to figure out what the heck I was doing. I was still trying to figure out how I was going to make money off this wacky idea. Sometimes I gave away free ice cream because I was afraid to sell it, but after a while, I built up the confidence to show up to places and sell. I figured out a few things really early. I knew that I didn’t want to drive around neighborhoods and sell to kids, because that market was saturated. Also the last thing I wanted was people I knew laughing at me and saying, “Oh my God, look what happened to Felecia’s life after college. I thought she was such a promising student.” I knew I wanted to create something that was really different and that was tailored towards adults. That’s when we decided to focus on offering unique ice cream and specializing in ice cream catering, and a little bit of street vending. Fast forward to the present. We make gourmet popsicles with really unique flavors like Pineapple Basil, Raspberry and Sweet Tea Vodka, Chocolate Salted Coconut, Mango Bourbon and Strawberry Balsamic We have a line of vegan-friendly gourmet popsicles and spiked popsicles made with all-natural, organic ingredients and organic evaporated cane juice as a sweetener. We produce everything locally in our Midtown Miami shop. Our claim to fame is our line of spiked popsicles that we launched about two years ago. It’s a cocktail on a stick (pretty cool!). Offering such a unique concept and product has garnered lots of media attention from outlets such as The Today Show, the Cooking Channel, Inc.com, Entrepreneur.com, Black Enterprise, Essence Magazine, the Boston Globe, UrbanDaddy, The Miami Herald, Daily Candy, AllBusiness.com, and The Wall Street Journal’s Market Watch. We were honored at the White House for the Empact 100 Awards, for being one of the Top 100 Entrepreneurs under the age of 30; Top 10 Superstar Entrepreneurs by AllBusiness.com, NBC Grio’s 100- Top 100 African Americans Making History and Mother Nature Networks named us one of the Top 10 Eco-Friendly food businesses. All of the great media attention and accolades helped us launch our PopPreneurs Entrepreneurship Training Program that teaches young kids how to launch their own pop business and engage in technology development. And now our client roster has grown to include big clients – Google, Cadillac, JCrew, William Sonoma, Adidas, Forever 21, Cirque du Soleil, Tom Cruise, Whole Foods, BB&T Bank, Universal Music, Capital Records, Vitamin Water, The Ritz-Carlton, Reebok, Taj Hotel, and the U.S. Census Bureau. I could go on and on naming all of the cool clients that we’ve been able to work with. Together, my husband and I packaged and created this really exciting brand, powered by social media, crazy guerrilla marketing, and a great customer experience. That’s how we catapulted our brand from scratch, with just a little over a thousand dollars back in 2008. Great read and congrats. Really inspirational. yeah, really good story. Congrats! And I’ve been planning on starting my own popsicle business, I don’t have much money, so I decide to buy from a Chinese supplier, called Nexium. Have anyone heard of it?